Fancy a taste of heaven? These oatcakes taste delicious and cost so little to make. Melt the butter with the honey and stir into the dry ingredients with 2-3 tbsp boiling water. Mix to form a dough. Dust the work surface with a little oatmeal and roll out the dough to ½cm thickness. Using a 7cm round cutter, cut 9 rounds and place on a non-stick baking tray. Bake for 10 minutes or until golden. Top with jam and clotted cream, or a hard cheese (e.g. Caerphilly) and celery. 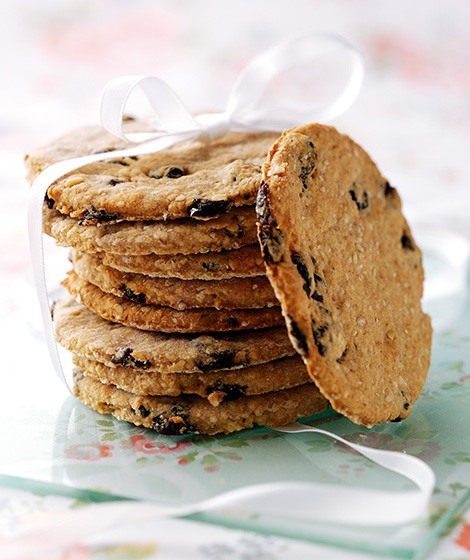 Try using mixed spice and dried cranberries as an alternative.